Have you ever contemplated calling Homeland Security to report some hapless liberal as an enemy combatant? Or did you just want to "occupy" his mouth with your fist? No matter the flavor of your clueless left-wing adversary, here's a survival guide for anyone who's fantasized about smacking down a liberal moon bat. It's time to defend America against every godless, gun-grabbing, tax-hiking, socialism-loving, shower-avoiding lunatic in your midst. If you want to battle tree-hugging hippies, consider this your chainsaw. Daniel Kurtzman chronicles the absurdities of politics as editor of politicalhumor.about.com, the popular website that is part of The New York Times Company's About.com network. A former Washington correspondent-turned-political satirist, his work has appeared in the San Francisco Chronicle and Salon.com, among other publications. 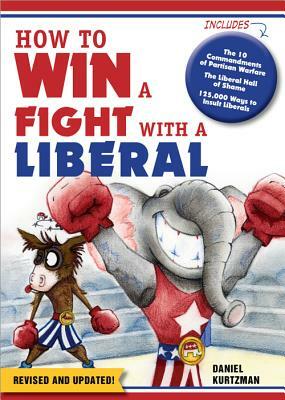 As an equal opportunity offender, Kurtzman is also the author of How to Win a Fight with a Liberal.